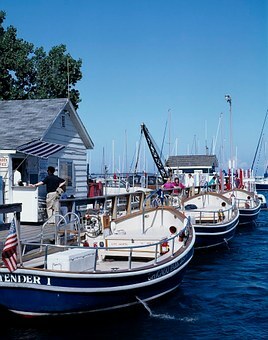 Situated in the northeastern corner of Illinois, Lake County is located along the beautiful shores of Lake Michigan. As one of the richest and most diverse areas in the nation, the county is overflowing with exciting educational and career opportunities, unique adventures, and cultural experiences that you won’t find just anywhere. Recently ranked 16th in the nation in per capita income, Lake County's 470 square miles on the shore of Lake Michigan between Chicago and Milwaukee include urban, suburban, and rural communities experiencing rapid growth. Lake County Government has 2800 professionals dedicated to serving over 650,000 residents. We believe our most important investment in the future of our community is our people. We seek to attract and develop a diverse group of exceptionally talented people who share our passion for individual excellence and our commitment to service to citizens, teamwork, respect, professionalism, results, and partnerships. If you have these qualities, we hope you will consider Lake County Government as the place to build your career. Do you want a career where you can truly make a difference? The Lake County Health Department and Community Health Center is one of the largest human service providers in Lake County. We live our mission each day, promoting the health and well-being of all who live, work, and play in Lake County. If you are passionate about giving back and ready to be a part of an innovative team, we are looking for you! About the Role: Evaluates and assesses clients. Prepares and implements treatment plans with clients. Provides therapeutic and supportive services to clients, including individual, group, and family counseling and case management. Prepares and presents education seminars to clients, their families, the general public and other service providers on chemical dependency and/or mental health. In residential programs, responsible for unit coverage and emergency telephone interventions. Counseling duties are generally office based, case management activities are generally community based. Location: 3002 Grand Avenue, Waukegan IL Hours: Sunday - Thursday (6:45am - 3:15pm) Skills and Experience Provides direct services to clients including organizing and facilitating individual and group treatment and activities, supervision of the milieu and case management and outreach. Develops clients’ abilities to problem-solve interpersonal conflicts. Facilitates with clients and collaborates with the treatment team to develop, review and update treatment goals and referrals both internally and externally. Takes responsibility for training in and documenting clinical chart requirements to meet program and state standards. Provides atmosphere of customer service in assuring that clients are treated in a friendly and respectful manner. Displays positive attitudes and behaviors in the accomplishment of job duties. Focuses on client empowerment and evidence-based practices in providing treatment, seeking to assist clients to build on strengths in addressing treatment needs. Provides education and direction to clients, family members and/or significant others. Organizes and participates in treatment-related clinical conferences and staffings on assigned clients. Reports client progress, behavior problems or need for medication evaluation to program supervisors/physicians/psychiatrists regularly. Must meet minimum productivity expectations. Education, Qualifications, and Certification: With an Associate’s degree with an emphasis in behavioral sciences or related field, three years of experience is required, or With a Bachelor’s degree in psychology, social work or related field, one year of experience is required, and If a recovering person, they must have two years of demonstrated sobriety. About the Perks: Lake County offers a competitive salary and benefit package with performance-based incentive plans. We also offer flexible working hours, and a comprehensive wellness and training program. Visit the Health Department page to get additional information on why you should work for us. If you would like to learn more about our community impact and to see some of our employees in action, please review this short video . Any offer of employment is conditioned on the successful completion of a background screening, drug and alcohol testing and may include a pre-employment medical exam. The Lake County Health Department and Community Health Center is an Equal Opportunity Employer. Do you want a career where you can truly make a difference? The Lake County Health Department and Community Health Center is one of the largest human service providers in Lake County. We live our mission each day, promoting the health and well-being of all who live, work, and play in Lake County. If you are passionate about giving back and ready to be a part of an innovative team, we are looking for you! About the Role: Under direct supervision performs work of moderate difficultly in a variety of duties relating to patient representation. Work may involve direct patient contact and is performed in accordance with prescribed methods, techniques and procedures. Performs associated clerical support to include telephone contact, inventory control and record keeping. Bi-lingual (Spanish) required. Location: 1840 Green Bay Road, Highland Park IL Hours: Monday - Friday. Shifts varies from 7:30 - 3:30, 8:30 - 5:30, and 10:30 - 6:30. One or two evening per week and one Saturday per month. Skills and Experience: Greets clients both upon entrance and departure from clinic. Directs clients with appointments to the correct clinical intake area. Provides new clients without appointments with an explanation of the general intake process. Is able to explain income verification process to new clients Assists clients with making appointments and enters data into computer system. Directs clients in process for making payments. Handles client inquiries, and assists in making appropriate referrals or appointments to specific Lake County Health Department and Community Health Center (LCHD/CHC) programs or other agencies. Assists with the filing and pulling of patient records for clinics. Assists in maintaining the general neatness and orderliness of the waiting room. Participates in Quality Improvement activities on an on-going basis, with particular emphasis placed on customer satisfaction survey completion. Performs job duties in a manner to maximize clinic efficiency and productivity. Participates in staff meeting, in-service training and seminars, as appropriate. Provide direct clerical care to ensure patients receive timely and appropriate service. Education, Qualifications, and Certification: Requires High School Diploma or GED. Assist in bilingual translation preferred. Bilingual (Spanish) required. About the Perks: Lake County offers a competitive salary and benefit package with performance-based incentive plans. We also offer flexible working hours, and a comprehensive wellness and training program. Visit the Health Department page to get additional information on why you should work for us. To learn more about our community impact and to see some of our employees please review this short video . Any offer of employment is conditioned on the successful completion of a background screening, drug and alcohol testing and may include a pre-employment medical exam. The Lake County Health Department and Community Health Center is an Equal Opportunity Employer. Do you want a career where you can truly make a difference? The Lake County Health Department and Community Health Center is one of the largest human service providers in Lake County. We live our mission each day, promoting the health and well-being of all who live, work, and play in Lake County. If you are passionate about giving back and ready to be a part of an innovative team, we are looking for you! About the Role: Responsible for evaluating and admitting clients. Prepares and implements treatment plans with clients. Provides individual, group, and family counseling and education. Provides chemical dependency education to general public, service providers and individuals. Location: 3002 Grand Avenue, Waukegan IL Hours: 8 hours a week Part-Time Skills and Experience Conducts crisis intervention/evaluation/referral to persons who present themselves at the program. Performs initial evaluations and assessments of potential clients regarding their appropriateness for participation in the program. Focuses on client empowerment and evidence bases practices in providing treatment, seeking to assist clients to build on strengths in addressing treatment needs. Provides direct services to clients including individual and group treatment. Facilitates with clients and collaborates with the treatment team to develop, review and update treatment goals and referrals both internally and externally. Provides education and direction to clients, family members and/or significant others. Takes responsibility for training in and documenting clinical chart requirements to meet program and state standards. Provides consultation to assist in the identification of persons in need of treatment and makes referrals as appropriate. Education, Qualifications, and Certification: With a high school diploma or G.E.D. certificate, requires 3 years experience and specialized training in mental health or chemical dependency, or With an Associate’s degree with an emphasis in behavioral sciences or related field, no experience is required, and If a recovering person, they must have two years of demonstrated sobriety. About the Perks: Lake County offers a competitive salary and benefit package with performance-based incentive plans. We also offer flexible working hours, and a comprehensive wellness and training program. Visit the Health Department page to get additional information on why you should work for us. If you would like to learn more about our community impact and to see some of our employees in action, please review this short video . Any offer of employment is conditioned on the successful completion of a background screening, drug and alcohol testing and may include a pre-employment medical exam. The Lake County Health Department and Community Health Center is an Equal Opportunity Employer. Do you want a career where you can truly make a difference? The Lake County Health Department and Community Health Center is one of the largest human service providers in Lake County. We live our mission each day, promoting the health and well-being of all who live, work, and play in Lake County. If you are passionate about giving back and ready to be a part of an innovative team, we are looking for you! About the Role: Provide comprehensive support services for adults who suffer from a chronic serious mental illness. Provide linkage to community-based resources, support clients in their recovery effort and provide them with skills/support to remain in an independent living situation. Complete LCHD and/or state-based assessments. Location: 3010 Grand Avenue, Waukegan IL Hours: Monday - Friday (8:30am - 4:30pm) Skills and Experience Provides direct services to clients including case management and outreach. Develops client’s abilities to problem-solve interpersonal conflicts. Facilitates with clients and collaborates with the treatment team to develop, review and update treatment goals. Provide referrals both internally and externally. Takes responsibility for training in and documenting clinical chart requirements to meet program and state standards. Provides atmosphere of customer service in assuring that clients are treated in a friendly and respectful manner. Displays positive attitudes and behaviors in the accomplishment of job duties. Focuses on client empowerment and evidence-based practices in providing treatment, seeking to assist clients to build on strengths in addressing treatment needs. Provides education and direction to clients, family members and/or significant others. Organizes and participates in treatment-related clinical conferences and staffing’s on assigned clients. Reports client progress, behavior problems or need for medication evaluation to program supervisors/physicians/psychiatrists regularly. Education, Qualifications, and Certification: With a Bachelor’s degree in psychology, social work or related field and one year of experience is required. With a Bachelor’s degree in any other field with two years of supervised experience in a mental health setting. With an Associate’s degree with an emphasis in behavioral sciences or related field, three years of experience is required. About the Perks: Lake County offers a competitive salary and benefit package with performance-based incentive plans. We also offer flexible working hours, and a comprehensive wellness and training program. Visit the Health Department page to get additional information on why you should work for us. If you would like to learn more about our community impact and to see some of our employees in action, please review this short video . Any offer of employment is conditioned on the successful completion of a background screening, drug and alcohol testing and may include a pre-employment medical exam. The Lake County Health Department and Community Health Center is an Equal Opportunity Employer. Do you want a career where you can truly make a difference? The Lake County Health Department and Community Health Center is one of the largest human service providers in Lake County. We live our mission each day, promoting the health and well-being of all who live, work, and play in Lake County. If you are passionate about giving back and ready to be a part of an innovative team, we are looking for you! About the Role: Independent application of the nursing process, comprehensive case management services to clients (individuals and/or families) in the home and a variety of community settings. Participates in orientation, program development, community assessment, and quality assurance/improvement. Location: 3010 Grand Avenue, Waukegan IL Hours: Monday - Friday (8:30am - 4:30pm) *Occasional some Saturdays* Skills and Experience Participates in on-going assessment of health needs of population and individuals, and develops plans with clients and other health professionals to meet identified needs. Implements outcome oriented nursing process (assessment of community, family, client health needs, formulates goals with client, develops, implements, and evaluates care plan and client’s progress) for clients in assigned geographic area or clinics. Confers with other members of multidisciplinary health care team, community services and organizations to develop and modify care plans for clients. Effectively manages assigned caseload, including timely and appropriate contact with clients and provision of needed interventions. Maintains complete timely, accurate, and concise documentation of nursing interventions and outcomes. Compiles interagency/intra-agency reports as required. Maintains current knowledge in maternal, child and adolescent health trends, issues and applies it to practice. Participates in clinical case conferences, staff meetings, in-services, committees, and orientation of staff and students, as appropriate. Provides health education in clinic settings or community groups and interprets Health Department services as appropriate. Serves as a resource to other staff, health care providers and the community in the management of multidisciplinary situations related to public health issues. Directs and monitors ancillary staff activities and assigned duties. Interprets for staff and client families if bilingual. Program Specific Functions To perform community assessment and to participate in developing or improving programs to meet identified needs. To independently perform physical and psychosocial assessment of individuals and/or families. To independently implement nursing process and evaluate outcome of interventions. To independently adapt nursing care to unique and differing environments with consideration to individual’s and family’s spiritual and cultural perspectives. To organize day-to-day activities and responsibilities in a cost effective manner. To problem solve and act independently in a crisis and/or a complex and unfamiliar situation. To communicate effectively orally and in writing. Education, Qualifications, and Certification: Requires a Bachelor’s of Science degree in nursing or an Associate Degree in Nursing with recent OB or pediatric nursing experience Experience: One year of recent experience as a registered nurse in an acute care setting or a public health agency Licensure: Current Illinois licensure as a registered professional nurse or Illinois license by reciprocity within six months of the initial date of employment; valid driver’s license Requires access to privately owned and insured vehicle during working hours Maintain CPR certification About the Perks: Lake County offers a competitive salary and benefit package with performance-based incentive plans. We also offer flexible working hours, and a comprehensive wellness and training program. Visit the Health Department page to get additional information on why you should work for us. To learn more about the department you will be working for, please visit the Public Health Nursing/Family Case Management information page. If you would like to learn more about our community impact and to see some of our employees in action, please review this short video . Any offer of employment is conditioned on the successful completion of a background screening, drug and alcohol testing and may include a pre-employment medical exam. The Lake County Health Department and Community Health Center is an Equal Opportunity Employer. Do you want a career where you can truly make a difference? The Lake County Health Department and Community Health Center is one of the largest human service providers in Lake County. We live our mission each day, promoting the health and well-being of all who live, work, and play in Lake County. If you are passionate about giving back and ready to be a part of an innovative team, we are looking for you! About the Role: Our 22-bed inpatient detox and rehabilitation unit is looking for a Program Coordinator to join our team. The Program Coordinator will be responsible for the planning, organizing, delivery and evaluation of clinical services within the Addictions Treatment Program. Location: 3002 Grand Avenue, Waukegan, IL 60085 Hours: Monday through Friday: 8:30am - 5:00pm Skills and Experience Provides clinical and administrative supervision and development for ATP staff, including completion of evaluations. Ensures adequate staff coverage for ATP site. Monitors the programs adherence to budgetary guidelines. Assures ongoing compliance with Lake County Health Department and Community Health Center, Joint Commission Accreditation of Health Organization, federal and state standards and regulations. Monitors and insures physical plant maintenance and safety compliance at ATP Will work collaboratively with the programs medical provider and other LCHD programs Obtains monthly service statistics and provides other statistical information. Promotes and facilitates the professional development of program staff by means of in-service training sessions. Interviews job applicants for staff positions and makes recommendations for hiring to Associate Director/Director. Provides direction on the scope, types, and evaluation of clinical and administrative programming that is offered utilizing published best practices and empirically proven clinical methodologies in delivery of client care. Demonstrates leadership abilities in conducting administrative and clinical meetings and ensures effective communication among all staff regarding administrative and clinical issues. Education, Qualifications, and Certification: Master's Degree in psychology, social work, nursing or related field, with four years' experience in the chemical dependency/behavioral health field, which includes two years of supervisory experience. Licensing or Certification required-licensed by the State of Illinois as a Physician, Psychologist, Licensed Clinical Social Worker (L.C.S.W. ), Licensed Clinical Professional Counselor (L.C.P.C. ), Registered Nurse or be a Certified Alcohol Drug Counselor (CADC). About the Perks: Lake County offers a competitive salary and benefit package with performance-based incentive plans. We also offer flexible working hours, and a comprehensive wellness and training program. Visit the Health Department page to get additional information on why you should work for us. To learn more about the department you will be working for, please visit the Addictions Treatment Program information page. If you would like to learn more about our community impact and to see some of our employees in action, please review this short video . Any offer of employment is conditioned on the successful completion of a background screening, drug and alcohol testing and may include a pre-employment medical exam. The Lake County Health Department and Community Health Center is an Equal Opportunity Employer. Lake County is seeking an individual to perform assigned responsibilities and duties in the Marine Unit. Duties include rendering service to the general public , protecting life and all property in the County. This individual will perform duties of physical or mental nature in the process of apprehension or during the arrest of violators of criminal or civil law. They will also investigate known criminals, complaints, and enforce County, State, and Local boating regulations while patrolling jurisdictional waters under all traffic and weather conditions. Individuals will patrol and remain in the assigned geographical area (district) during assigned shift and operate a marked police boat in the company of another deputy. They will enforce criminal and motorboat laws, arrest persons suspected of violating ordinances and statutes, including use of physical force as necessary to subdue suspects, investigate and prepare written reports on accidents, crimes, suspicious conditions and respond to complaints. IF YOU ARE CURRENTLY IN LAW ENFORCEMENT and looking for growth opportunities to enhance your career, the Lake County Sheriff’s Office Merit Commission is currently accepting applications for the position of Deputy Sheriff in the Lake County Sheriff’s Office. The general function of the position within the organization is to perform complex work related to the protection of life, persons, and property of the citizens of Lake County through the enforcement of laws and ordinances. The position is under moderate supervision. Duties include, but are not limited to, responding to dispatch calls for service to involve emergency and non-emergency situations; investigating crimes, suspicious conditions and responding to complaints. The Deputy Sheriff is also responsible for arresting persons suspected of violating ordinances and statutes, including use of physical force as necessary to subdue suspects. A person in this position will interview offenders and victims of crimes; appear in court to testify on behalf of the County; serve warrants, summons; speak to organized groups or the general public about various law enforcement activities; and coordinate special education programs. Do you want a career where you can truly make a difference? The Lake County Health Department and Community Health Center is one of the largest human service providers in Lake County. We live our mission each day, promoting the health and well-being of all who live, work, and play in Lake County. If you are passionate about giving back and ready to be a part of an innovative team, we are looking for you! About the Role: As a Flex Counselor you will be responsible for Responsible for evaluating, assessing and admitting clients. You will also prepare treatment plans and assessments for our clients; as well as provide individual, group, and family counseling on an as need basis. This position does not have permanent set hours and is as needed. Responsibilities: Provides education and direction to clients, family members and/or significant others. Provides direct services to clients including individual and group treatment. Takes responsibility for training in and documenting clinical chart requirements to meet program and state standards. Responds to inquiries, gives appropriate information and referrals, and documents, if necessary.. Conducts crisis intervention/evaluation/referral to persons in the community or who present themselves at the program. Secures hospitalization, if necessary. Performs initial evaluations and assessments of potential clients regarding their appropriateness for participation in the program. Participates in collection of client fees including completing forms for third-part coverage. Serves food to clients in residential programs. Participates in staff meetings, in-service trainings, and seminars to facilitate professional growth and maintain licensure if required. Maintains an awareness of and professional involvement/collaboration with community resources. Assists in facilitating transportation of clients. Education, Qualifications, and Certification: With a high school diploma or G.E.D. certificate, requires 3 years experience and specialized training in mental health or chemical dependency, or Associate’s degree with an emphasis in behavioral sciences or related field, no experience is required. If a recovering person, you must have two years of demonstrated sobriety. About the Perks: The Health Department offers a competitive salary and benefit package with performance-based incentive plans. We also offer flexible working hours, and a comprehensive wellness and training program. Visit the Health Department page to get additional information on why you should work for us. To learn more about the department you will be working for, visit Addictions Treatment Program or Substance Abuse Program . To learn more about our community impact and to see some of our employees in action, please take a look at this short video . Any offer of employment is conditioned on the successful completion of a background screening, drug and alcohol testing and may include a pre-employment medical exam. The Lake County Health Department and Community Health Center is an Equal Opportunity Employer. Do you want a career where you can truly make a difference? The Lake County Health Department and Community Health Center is one of the largest human service providers in Lake County. We live our mission each day, promoting the health and well-being of all who live, work, and play in Lake County. If you are passionate about giving back and ready to be a part of an innovative team, we are looking for you! About the Role: Responsible for administering medications in the Addictions Treatment Program. Responsible for direct care of clients, including crisis intervention and triage on admission, participates in developing treatment plans with clients, provides emergency assessment for hospitalizations, and reports supply needs to Nursing Coordinator, if applicable to program. Location: 3002 Grand Avenue, Waukegan IL (ATP) Hours: TBD to fill staff nurse vacancies as needed. Shifts vacancies are days, evening, and or over night with increments of 4 hours, 8 hours, or 12 hours. Skills and Experience Acts as triage person for admissions to the program. Provides professional nursing care, including administering medications, according to physician’s orders in conformance with recognized nursing techniques and procedures, established standards and administrative policies of the department. Recognizes and interprets symptoms of clients’ conditions, reports to appropriate personnel and assists with remedial measures for adverse developments. Monitors the collection of urine specimens according to Standard precautions, if SAP. Maintains clinical charts including documentation of observations, medications treatments; reports on the condition of clients; observes and corrects, if possible, environmental factors dealing with comfort and safety. Participates as a team member at staff interviews and provides input regarding the stability of client’s physical condition. Is responsible for arranging clinic appointments, chest x-rays, laboratory work and other medication appointments, if ATP/CCP or WRS. Makes arrangements for medical transfer of patients to other treatment facilities, as necessary, if ATP/CCP or WRS. Focuses on client empowerment in providing treatment, seeking to assist clients to build on strengths in addressing treatment needs. Education, Qualifications, and Certification: With an Associate’s degree, one year of experience in chemical dependency is preferred With a Bachelor’s degree or diploma, year of experience in chemical dependency/behavioral health field is preferred. If a recovering person, they must have two years of demonstrated sobriety. About the Perks: Lake County offers a competitive salary and benefit package with performance-based incentive plans. We also offer flexible working hours, and a comprehensive wellness and training program. Visit the Health Department page to get additional information on why you should work for us. To learn more about the department you will be working for, visit Addictions Treatment Program . To learn more about our community impact and to see some of our employees please review this short video . Any offer of employment is conditioned on the successful completion of a background screening, drug and alcohol testing and may include a pre-employment medical exam. The Lake County Health Department and Community Health Center is an Equal Opportunity Employer. Do you want a career where you can truly make a difference? The Lake County Health Department and Community Health Center is one of the largest human service providers in Lake County. We live our mission each day, promoting the health and well-being of all who live, work, and play in Lake County. If you are passionate about giving back and ready to be a part of an innovative team, we are looking for you! About the Role: As a Staff Nurse in the Addictions Treatment Program, you will be responsible for direct care of clients to include, crisis intervention, triage on admission, participation in developing treatment plans with clients, providing emergency assessments for hospitalizations and reporting supply needs to Nursing Coordinator. You will also administer medication within scope of practice. This is a part-time evening position and will require holidays and weekends. Location: 3002 Grand Avenue, Waukegan, IL Hours: Week 1: Friday, Saturday, Sunday and Tuesday: 2:45pm - 11:15pm Week 2: Friday and Tuesday: 2:45pm - 11:15pm Skills and Experience Acts as triage person for admissions to the program. Provides professional nursing care, including administering medications, according to physician’s orders in conformance with recognized nursing techniques and procedures, established standards and administrative policies of the department. Recognizes and interprets symptoms of clients’ conditions, reports to appropriate personnel and assists with remedial measures for adverse developments. Maintains clinical charts including documentation of observations, medications treatments; reports on the condition of clients; observes and corrects, if possible, environmental factors dealing with comfort and safety. Participates as a team member at staff interviews and provides input regarding the stability of client’s physical condition. Responsible for arranging clinic appointments, chest x-rays, laboratory work and other medication appointments. Makes arrangements for medical transfer of patients to other treatment facilities, as necessary. Responds to inquiries, gives appropriate information and referrals, and documents, if necessary. Education, Qualifications, and Certification: With an Associate’s degree, two years in general nursing care is required, plus one year of experience in chemical dependency is preferred With a Bachelor’s degree or diploma, one years experience in general nursing care required, plus one year of experience in chemical dependency/behavioral health field is preferred. If a recovering person, they must have two years of demonstrated sobriety. Illinois licensure as a register professional nurse OR Illinois licensure by reciprocity within six months of the initial date of employment. About the Perks: Lake County offers a competitive salary and benefit package with performance-based incentive plans. We also offer flexible working hours, and a comprehensive wellness and training program. Visit the Health Department page to get additional information on why you should work for us. To learn more about the department you will be working for, please visit the Substance Abuse Program information page. If you would like to learn more about our community impact and to see some of our employees in action, please review this short video . Any offer of employment is conditioned on the successful completion of a background screening, drug and alcohol testing and may include a pre-employment medical exam. The Lake County Health Department and Community Health Center is an Equal Opportunity Employer. Do you want a career where you can truly make a difference? The Lake County Health Department and Community Health Center is one of the largest human service providers in Lake County. We live our mission each day, promoting the health and well-being of all who live, work, and play in Lake County. If you are passionate about giving back and ready to be a part of an innovative team, we are looking for you! About the Role: Under direct supervision performs work of moderate difficultly in a variety of duties relating to patient representation. Work may involve direct patient contact and is performed in accordance with prescribed methods, techniques and procedures. Performs associated clerical support to include telephone contact, inventory control and record keeping . Location: 3010 Grand Avenue, Waukegan IL Hours: Monday and Friday (8:30am - 4:30pm) Tuesday (12:00pm - 8:00pm) Wednesday (9:00am - 5:00pm) Thursday (8:00am - 4:00pm) Skills and Experience Greets clients both upon entrance and departure from clinic. Directs clients with appointments to the correct clinical intake area. Provides new clients without appointments with an explanation of the general intake process. Able to explain income verification process to new clients Assists clients with making appointments and enters data into computer system. Directs clients in process for making payments. Handles client inquiries, and assists in making appropriate referrals or appointments to specific Lake County Health Department and Community Health Center (LCHD/CHC) programs or other agencies. Assists with the filing and pulling of patient records for clinics. Assists in maintaining the general neatness and orderliness of the waiting room. Education, Qualifications, and Certification: Requires High School Diploma or GED. About the Perks: Lake County offers a competitive salary and benefit package with performance-based incentive plans. We also offer flexible working hours, and a comprehensive wellness and training program. Visit the Health Department page to get additional information on why you should work for us. If you would like to learn more about our community impact and to see some of our employees in action, please review this short video . Any offer of employment is conditioned on the successful completion of a background screening, drug and alcohol testing and may include a pre-employment medical exam. The Lake County Health Department and Community Health Center is an Equal Opportunity Employer. Do you want a career where you can truly make a difference? The Lake County Health Department and Community Health Center is one of the largest human service providers in Lake County. We live our mission each day, promoting the health and well-being of all who live, work, and play in Lake County. If you are passionate about giving back and ready to be a part of an innovative team, we are looking for you! About the Role: Responsible for evaluating and admitting clients. Prepares and implements treatment plans with clients. Provides individual, group, and family counseling and education. Provides chemical dependency education to general public, service providers and individuals. Location: 2104 Hebron, Zion IL Hours: Tuesday (7:00am - 3:30pm), Wednesday and Thursday (9:00pm - 7:00am), and Friday (7:00pm - 7:00am). Skills and Experience Conducts crisis intervention/evaluation/referral to persons who present themselves at the program. Performs initial evaluations and assessments of potential clients regarding their appropriateness for participation in the program. Focuses on client empowerment and evidence bases practices in providing treatment, seeking to assist clients to build on strengths in addressing treatment needs. Provides direct services to clients including individual and group treatment. Facilitates with clients and collaborates with the treatment team to develop, review and update treatment goals and referrals both internally and externally. Provides education and direction to clients, family members and/or significant others. Takes responsibility for training in and documenting clinical chart requirements to meet program and state standards. Provides consultation to assist in the identification of persons in need of treatment and makes referrals as appropriate. Night Counselors Assist in support services such as reviewing clinical charts, admission and discharge checklists, maintaining supplies of forms and documents. Project SAFE Keeps logs of children receiving services and a sign in/out log for parents. Consults with the clinical team regarding referrals for infant/child assessments for continuity of care. Conducts education meetings, movies, lectures and discussions on child development, parenting and age appropriate behaviors. Residential Counselors Assist in the responsibility of maintaining rotating 24-hour on-site coverage Education, Qualifications, and Certification: With a high school diploma or G.E.D. certificate, requires 3 years experience and specialized training in mental health or chemical dependency, or With an Associate’s degree with an emphasis in behavioral sciences or related field, no experience is required, and If a recovering person, they must have two years of demonstrated sobriety. About the Perks: Lake County offers a competitive salary and benefit package with performance-based incentive plans. We also offer flexible working hours, and a comprehensive wellness and training program. Visit the Health Department page to get additional information on why you should work for us. If you would like to learn more about our community impact and to see some of our employees in action, please review this short video . Any offer of employment is conditioned on the successful completion of a background screening, drug and alcohol testing and may include a pre-employment medical exam. The Lake County Health Department and Community Health Center is an Equal Opportunity Employer.